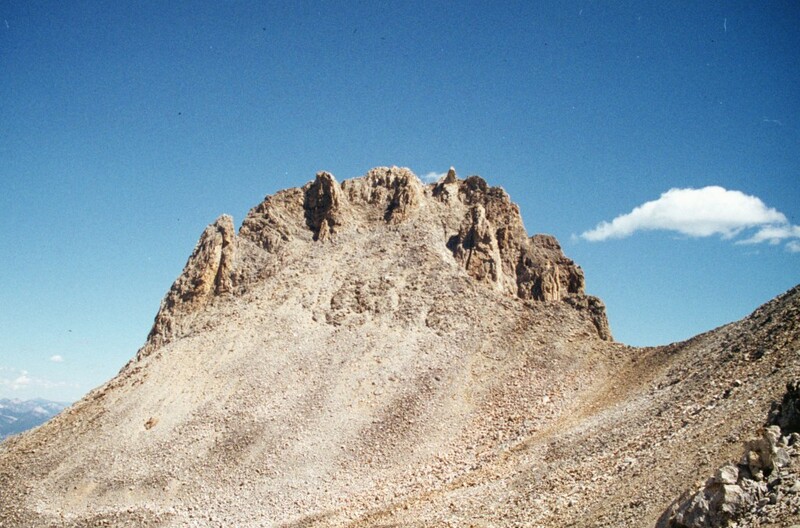 Climbing and access information for this peak is found on pages 161 and 162. 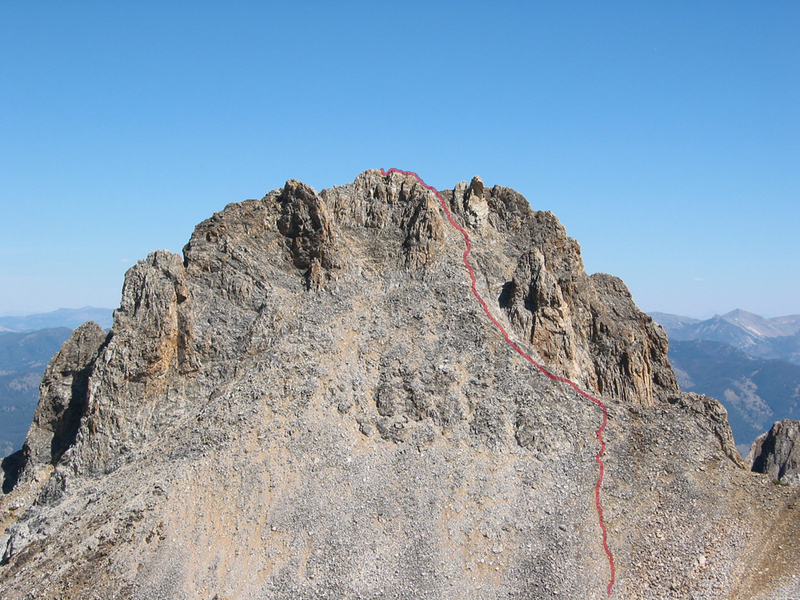 The highest Sawtooth Peak is usually climbed via a challenging Class 3 scramble up the south couloir. 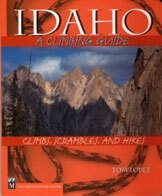 The book also details but a number of challenging but seldom repeted technical lines for rock climbers. 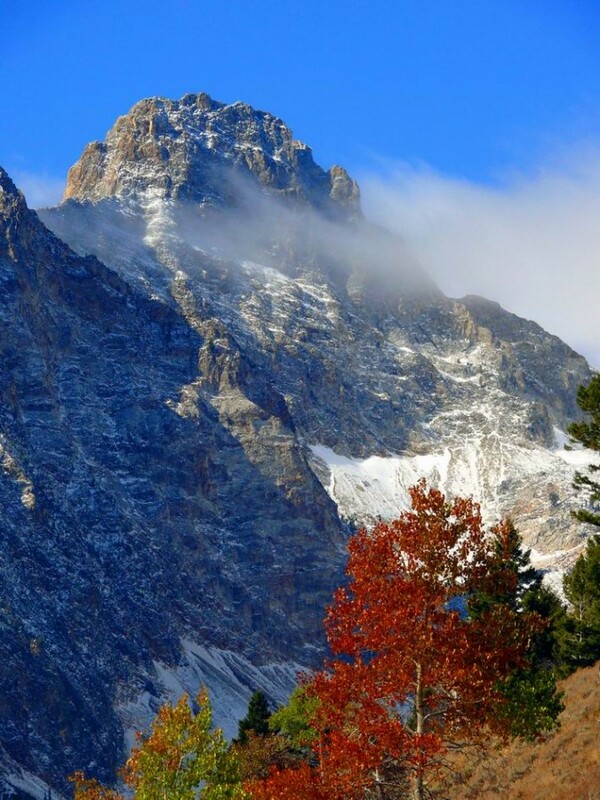 One of the many moods of Thompson Peak. 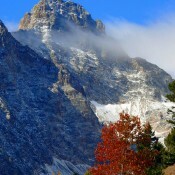 Basil Service Photo. 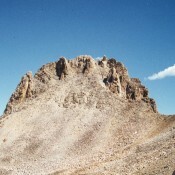 Southwest face of Thompson Peak. 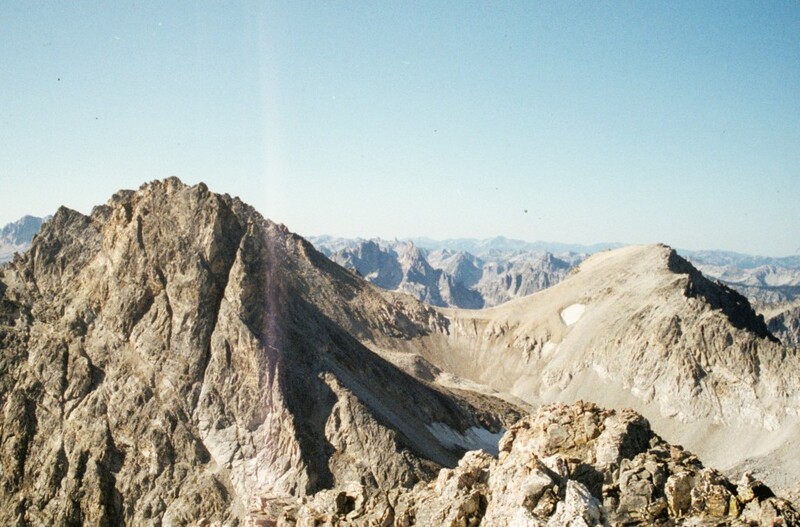 Thompson from the lower slopes of Merritt Peak. 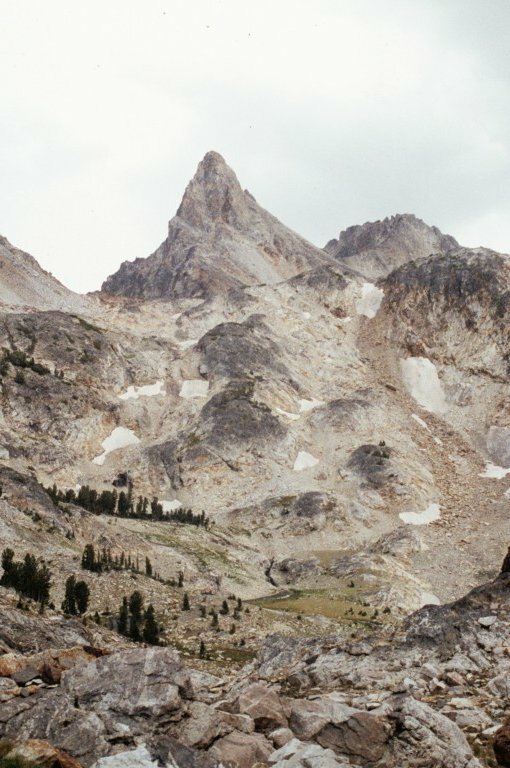 Thompson Peak (left) and Carter (right) from Williams Peak. 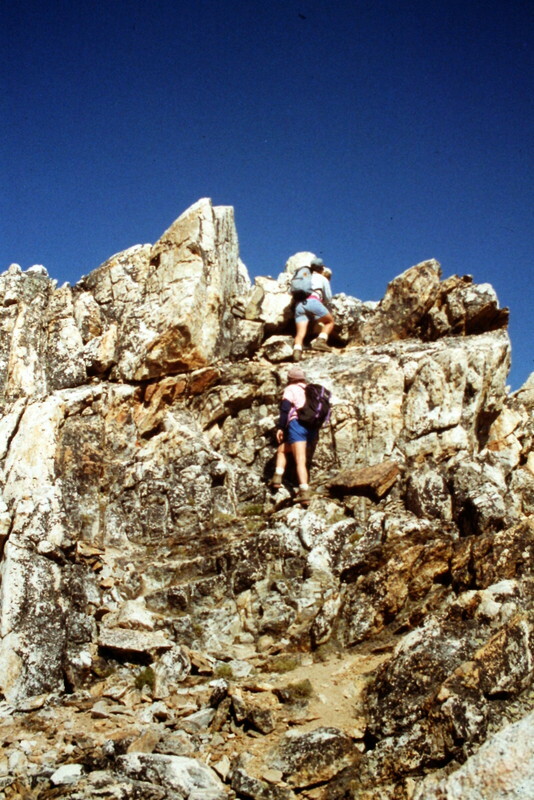 The last few feet to the summit on the standard route involve a bit of Class 3 climbing,.